After exploring the PPAI Expo’s tradeshow floor in early January, the Magellan Promotions team came back with many great ideas that we’d love help you incorporate into your promotional product offering for 2017. Check out our favorite products for businesses below. No matter where we seemed to be on the tradeshow floor, there was an example close by of a tumbler that mirrored the style of the retail-brand Yeti tumblers. The Endurance tumbler was no exception. It is a 12oz. 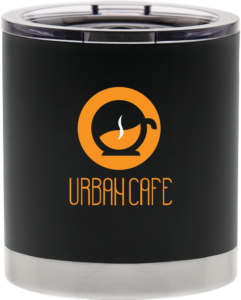 double walled stainless steel tumbler with a vacuum sealed copper lining and comes with a plastic, thumb-slide lid. The vacuum insulation means that it will keep your coffee hot for 12 hours when the lid is on. In addition to the Yeti style-tumbler being a huge trend in the promotional product industry, the Endurance tumbler is a great combination of two of our favorite drinkware products – it is the size ceramic mug and has the features double wall stainless steel tumbler. It’s the perfect size for your morning cup of coffee, and it is short enough to fit underneath the Keurig in your office, unlike a traditional tumbler. And unlike a ceramic mug, it’s going to have heat retention abilities because of the double wall and copper vacuum insulation. As an added bonus, we are able to print in full-color around the entire tumbler, giving it a truly custom style when branded. Have you ever heard a fire crackling inside someone’s house, but you don’t see a fireplace? It was probably a woodkwick candle! 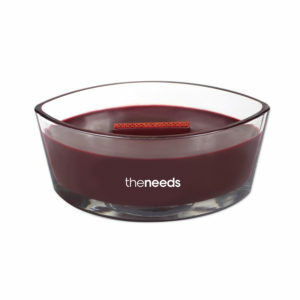 Woodwick is a well-established retail brand that is widely enjoyed by candle lovers. It is unique because (just like the name sounds) the wicks of the candle are made of wood and make a crackling sound like a fire when they are burned. Woodwick is widely enjoyed by candle lovers, and anyone that has purchased a Woodwick candle knows the value of they gift they are receiving. Any time that you pair your brand with a well-regarded retail name brand, it adds additional credibility to your brand. It is the perfect appreciation gift, for anyone from employees to clients. Given the length of time it takes a candle to burn, it will be on display in the recipients home for a long time, and will be appreciated by everyone who receives it! Stone coasters have been available in the promotional products industry for years, and this is the newest twist on this product. 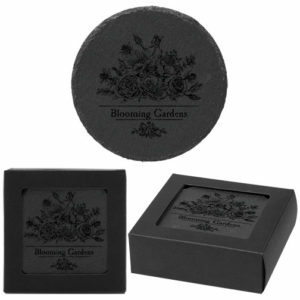 The slate coasters are made of a thin slate piece, backed with cork to prevent the stone from scratching table surfaces. It comes in a single, double or four-pack, as either a circle or square. Matte black has been a big trend across the industry for a few years, and this is the newest way to incorporate that trend into desk items. We always like desk items because if you have customers who spend 40+ hours a week at their desks, your logo is always in front of them. The matte black color of the slatemeans that the coasters are subtle enough to be a crisp, professional edition to your customer’s desk. With a subtle glossy black logo (our favorite way to print on matte black items), the slate coaster is the perfect thank you gift for your customers. The Wall Charger Night Light is an AC charger that allows you to charge three devices at once, two through USB outlet and one through a traditional outlet. The top of the outlet doubles as a night light. 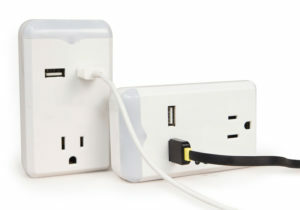 Are you sick of loosing an outlet when you plug in a night light or USB charging port? This is the solution! Almost every time you plug something in, you lose an outlet. But on the wall charger night light, you not only keep your outlets, but you get two bonus USB outlets as well. 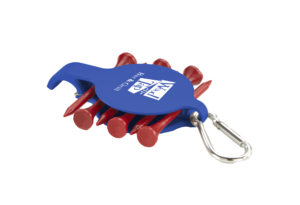 It makes for a perfect event or tradeshow giveaway, as it’s a practical item, and your clients will thank you every time they go to plug something in. The beverage wrench is an convenient way to always make sure you have a few golf tees within reach, and will make sure you always have a way to open a beer while on the golf course. It combines a bottle opener, a golf tee holder with six golf tees and a clip so it is easily attachable to your golf bag. The beverage wrench is the perfect inexpensive giveaway for golf events or fundraisers, or as you are networking on the back nine. Anyone who receives it will appreciate that they have a way to have a few extra golf tees at hand. With the loss of a headphone jack on the newest version of the iPhone, we are now in a world where Bluetooth headphones are going to become more and more common. They have been around for a while, but most of our customers have preferred the traditional headphones as they don’t require charging, and unlike some version of wireless headphones, aren’t susceptible to losing one of the earbuds. But as major technology changes are coming to our cell phones, our industry has evolved along with them making Bluetooth headphones a necessity for anyone who upgrades their phone. Since Bluetooth is going to become the new norm for headphones, everyone is going to need to eventually get a pair, but many people haven’t ventured out and bought their own yet. Giving a pair of Bluetooth headphones away will make your brand look forward thinking, and any recipient will appreciate them. We love this pair in particular because it is a high quality pair with a great imprint area, and having the earbuds attached means you don’t risk losing one, like the unattached pairs. 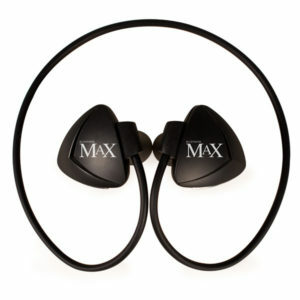 Use them as part of an employee fitness incentive or as a gift to special clients, and your brand will be hard to forget. The ibuprofen packets are prepackaged sets of 12 ibuprofen pills. You can customize each packet with a full color design around the entire package. Everyone usually has ibuprofen around, or wishes they did. That is what makes this such a great, inexpensive giveaway. The best promotional products are those that you need, but don’t want to buy for yourself because they get used and are always appreciated. 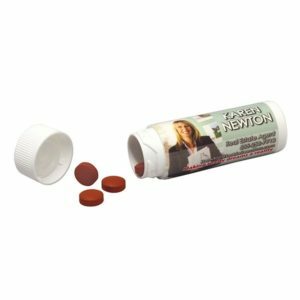 The ibuprofen packet is small enough to get thrown in a purse or desk drawer, and your recipients will appreciate you every time they reach for it. The packets would be perfect for an inexpensive event giveaway, or for health and wellness related companies and events. The C-Slide webcam cover is a patented webcam cover for laptops, computers, and more that helps protect your webcam being used if your computer is hacked and someone takes over your webcam (yes, unfortunately it does happen). An adhesive backing attaches the cover to your computer or tablet, preventing your webcam from being used unless you slide the piece sitting over your webcam. Anyone who works in an office spends most of their day sitting in front of a computer screen, many of which have built-in webcams. That means your brand will be front and center every time your client looks at their computer screen. 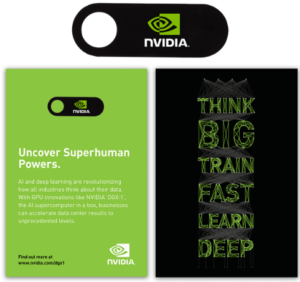 Webcam covers are perfect for giveaways for banks, safety and security related companies, or office giveaways if you’re looking to boost your computer security. The Vertex Convertible Messenger Bag starts out as a backpack, but can be converted into a messenger bag by unhooking and stowing the straps. It’s the perfect solution for situations where you don’t know which would be more convenient – a messenger bag or a backpack – such as when you’re traveling through the airport. It comes with multiple zippered pockets, and can fit a 15” laptop. We’ve seen a growing trend in the industry of vertical messenger bags instead of horizontal bags. 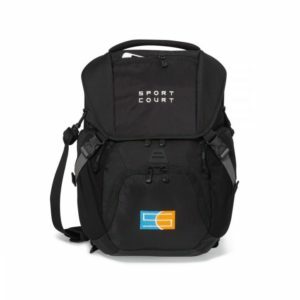 The height makes it easier to access what you need, and easier to carry around when used as a messenger. The convertible features of this backpack also make it perfect for everyone, whether you prefer a backpack or a messenger bag. Given to valued customers or new employees, this is the perfect way to show your appreciation. The Storm Creek Ironweave Jacket is our industry’s take on the $200 Spyder jacket, but at over half the cost. With a luxuriously thick, sweater-like feel, this jacket looks sharp on anyone who wears it. 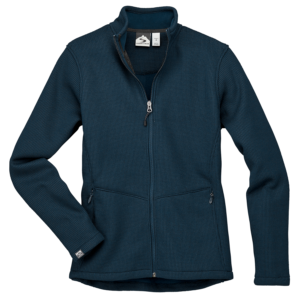 This jacket is the perfect addition to your corporate apparel program. No matter how you wear it, either overa polo for work or a tshirt on the weekend, it is the perfect addition to any outfit and will make your brand stand out for the crowd. Plus, with the increasing popularity of Spyder style jackets, anyone who wears this Ironweave jacket is on trend.